There’s nothing quite like an old-fashioned painting show, said Kriston Capps in Washington City Paper. Charline von Heyl is a German artist who splits her time between New York and Texas, and she needs only her oils and acrylics to enchant. Her large abstract paintings “read like puzzles, complete with clues, dead ends, and red herrings,” and her current show at the Hirshhorn “offers a glimpse into the mind of a brainiac.” Humor is part of the work’s appeal. In The Language of the Underworld (2017), she packs a century of art history onto one canvas by colliding cubist-style faces, cutout floral shapes, and pop art–inspired stripes. Yes, she is pitting Matisse against Picasso and “putting herself at the center of the conversation,” but why not? To her, painting’s history is a field of play—one among many. The diverse body of work she’s building is a reminder that “it’s almost impossible to exhaust a medium,” even one that’s considered played out. Von Heyl’s “everything-but-the-studio-sink” approach often isn’t enough, said Peter Plagens in The Wall Street Journal. Though her skills are such that “she can produce on canvas just about anything she wants,” any painter today “has to be a genius on the order of Picasso” to create work that’s profound and moving, not merely clever and visually arresting. 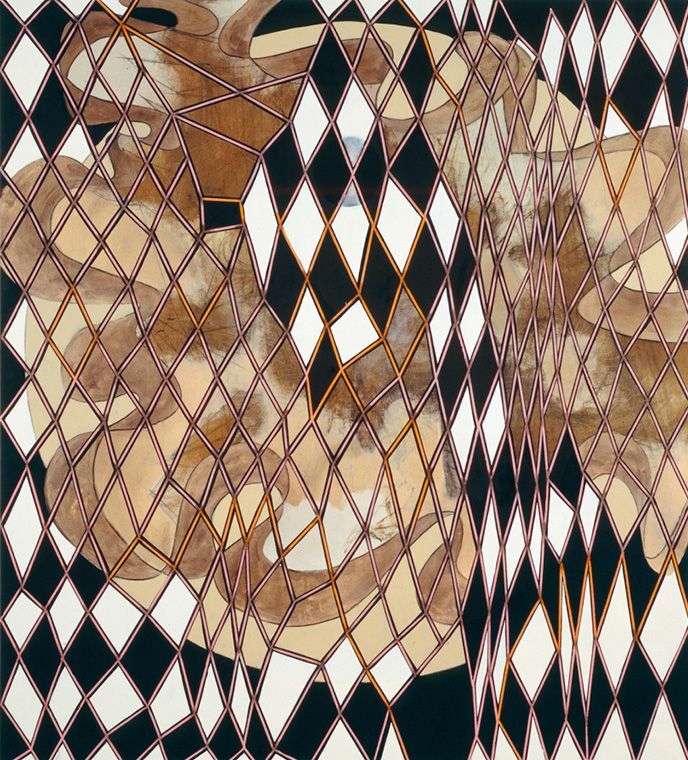 Still, “when von Heyl is on, she’s on.” Solo Dolo (2010), with its warped harlequin-style pattern of beige, pink, and black, is “a complex manipulation both of space and color,” and so effective that it might convince a skeptic that this “ridiculously talented” painter doesn’t have to change anything. She’s already creating great work.